I like children to have the experience of working with charcoal. 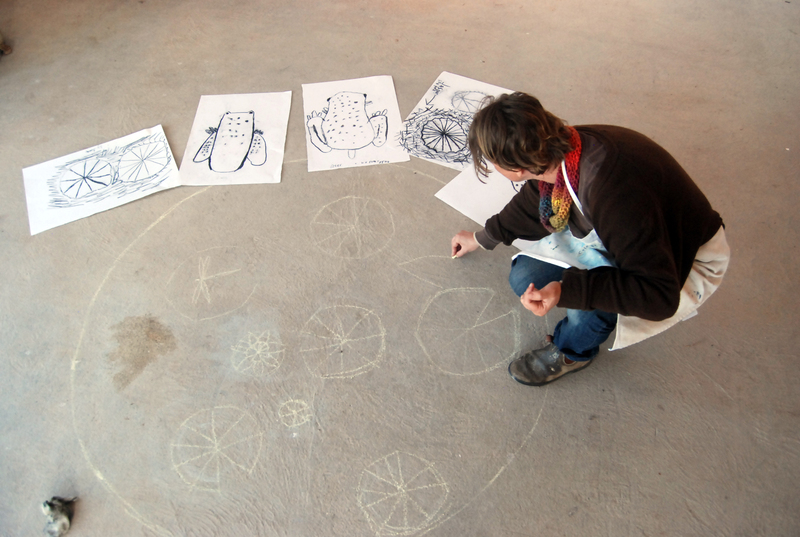 Like clay, charcoal is a tactile medium, so much more alive than pencil and texta. 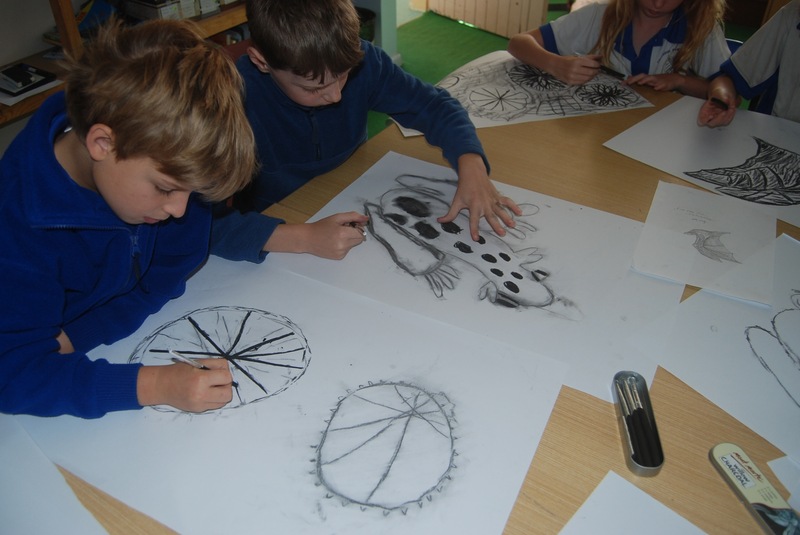 Drawing with charcoal pushes children out of their comfort zone. The children learn how to hold a stick of charcoal- so different from drawing with a pencil. They see how a varied pressure accentuates line; how a “fat” line comes forward and a “thin” line recedes; how smudging can be used to delineate a three dimensional form. I give the children large pieces of cartridge paper, plenty of space to make their marks. 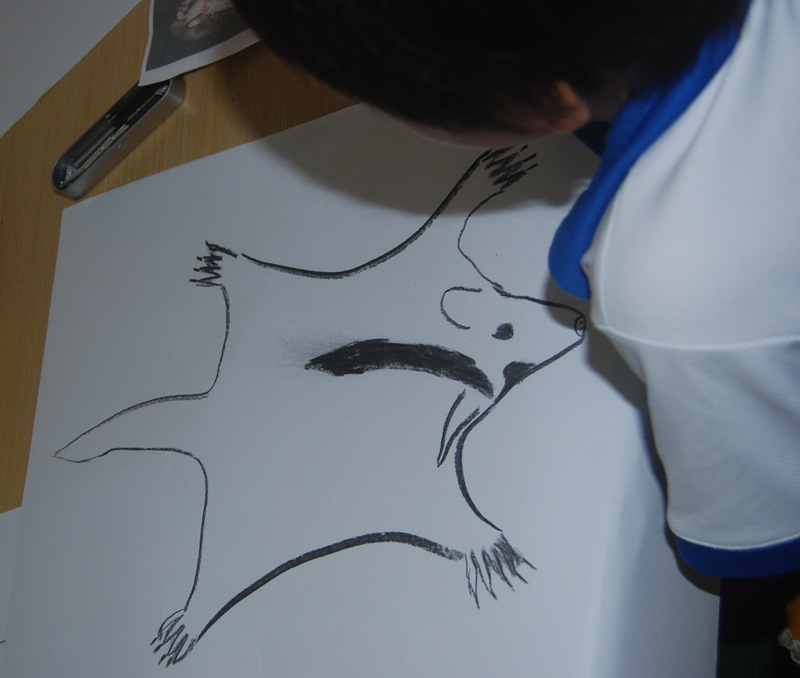 To inspire the children’s drawings I brought to the classroom my own drawings of local animals. 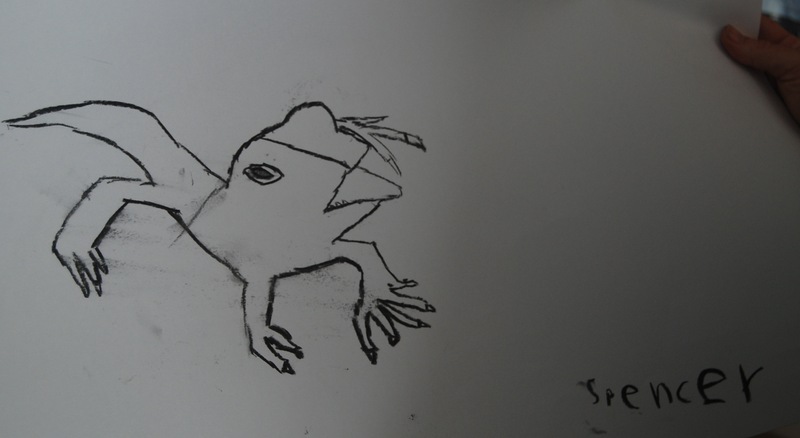 I drew with them so they could see how to work with the charcoal, how to analyse what they were drawing, how to see that each animal is a series of simple component shapes, with specific details added after the form is sketched out. The pathway designs are inspired by native animals living in Thirroul. Included in the new playground equipment is a “flying fox”- which suggested the inclusion of images of local native nocturnal animals. 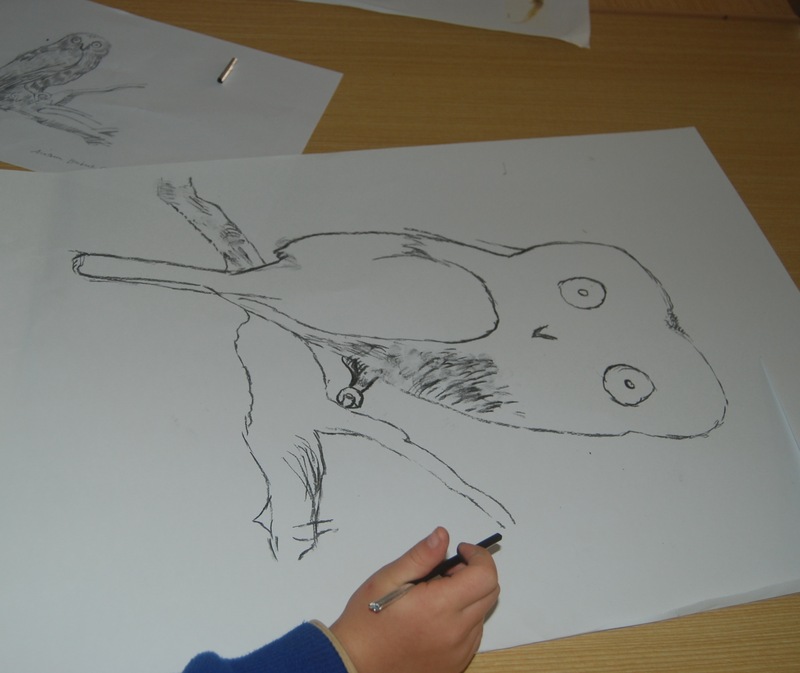 The children drew possums, sugar gliders, flying foxes and Southern “Boobook” owls to be included in a section of pavement leading to a soft play area. The story of the Wirth’s circus elephant becoming bogged in a Thirroul lagoon gave the impetus for the second section of playground pathway ceramics, with the children imagining what animals may have lived in and around the lagoon. The circular shape of the pavement suggested a pond, so the children designed a frog pond, lily pads like stepping stones across the centre. This section of pavement will become a “roundabout” in the cycling area. Later on in the studio…. Landscape Architect: Jana Osvald, UmbaCo Landscape Architects Pty. Ltd.
NextChildren Shaping Art, Art Shaping Children, Children Shaping Place. Making tiles for the Thirroul Beach Playground. You have a gift of bringing the best out of the children. Who would have known they could draw such good images of animals? I am sure it will be a successful Arts project. Thanks Denis.I thought you would enjoy the drawings- the sugar glider is particularly fabulous- it captures the essence of being a sugar glider, I think.